Many People have habit of watching videos from streaming links like YouTube frequently. But there will not be any direct option to download those videos in that sites. Few of you may know some methods to download them. In this Post we will make you know Best ways to download videos from streaming links. There are some softwares that can be used. They are Called Grabbers. Major of them are Internet Download Manager(IDM), Torch Chromium Browser, YouTube Downloader. 1. IDM is all in one software that can be used to download anything. After You Install it, whenever you open a website with streaming links it shows itself saying you can download the video in the form of a IDM Download Panel. 2. Torch is a brand new web browser launched by Chromium. It has built In Audio and Video Grabber which helps you to download audio or video from any websites. Not only that much, It can grab Facebook or Google+ ‘s message alert tune when a new message occurs. 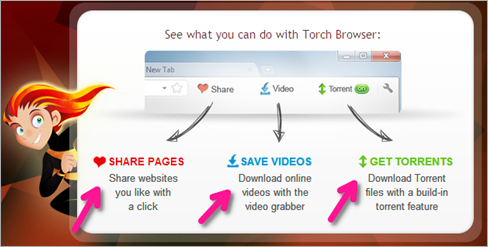 Click Here to Read more about Torch and also Download Link. 3. YouTube Downloader(YTD) is a software that is specially designed to Download Videos. only thing you have to do is getting the URL of video and pasting it in YTD. Then it will also offer you video quality and formats. It has video converter in it so that you can convert the videos to other format after downloading it. 1. 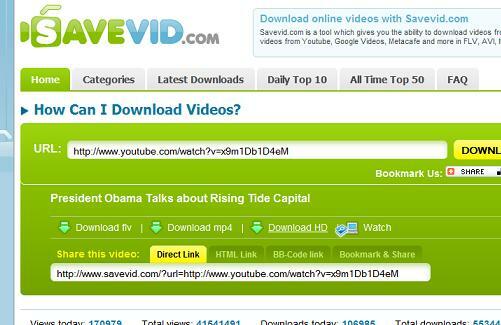 Keedvid.com is a leading website that allows users to download videos. It is very simple and easy way. 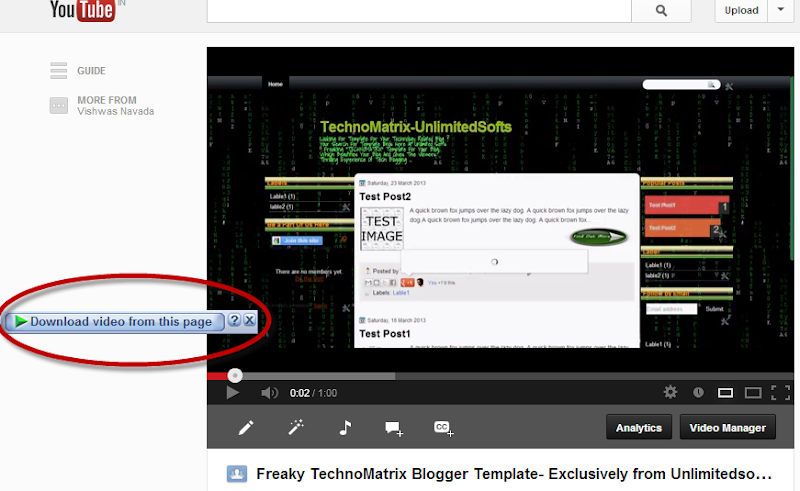 Getting the video URL, going to Keepvid.com and paste the URL and download.